An intimate performance from the musical innovator. 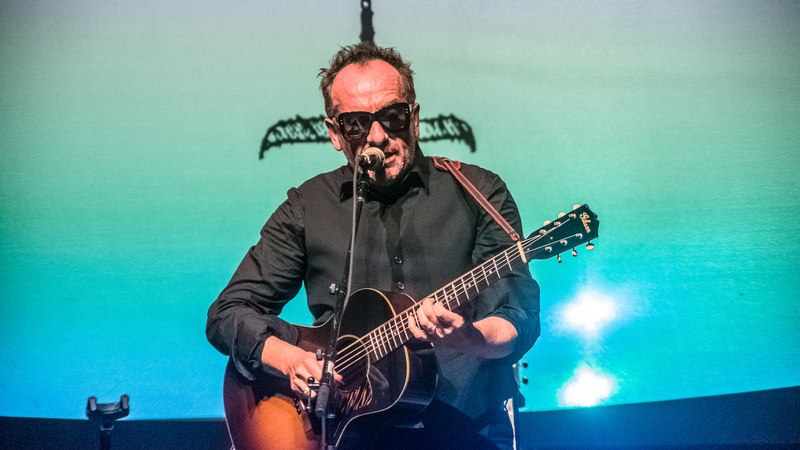 Earlier this month, British New Wave trailblazer Elvis Costello gave an unforgettable Austin City Limits performance at the Moody Theater. With a career spanning the last few decades, Costello is an influential musical force and an idol to many in the industry. Though it was purely an acoustic set—much different from the “Pump It Up” performer’s typical electric energy— it was outstanding nonetheless. Spanning over a dozen full length albums, Costello’s vast discography never fails to impress. The British rocker played a mix of fan favorites like “(The Angels Wanna Wear My) Red Shoes” and “Everyday I Write The Book”, and we were thankfully there to witness it all. The highlight of the night, however, was when he performed "Alison" without a microphone—followed by a standing ovation from everyone in the crowd. Check out our photos from Elvis Costello’s performance and make sure you’re tracking him on Bandsintown so you don’t miss his tour this fall!